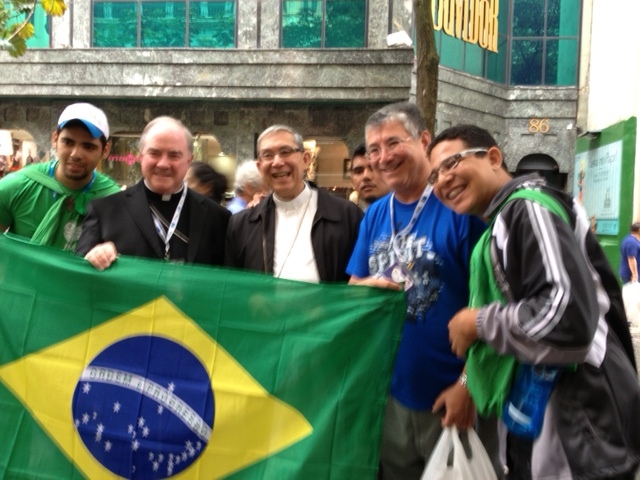 I have arrived in Rio de Janeiro for World Youth Day. I will keep you up to date day by day during WYD. Please join all the pilgrims (many young pilgrims on my flight from Miami) in praying for all our young people that they may be true evangelizers. That is the responsibility now of all of us. Let us reach out to those around us in a true spirit of Joy and enthusiasm for our faith in Jesus.